Looking for the perfect gift for the special lady in your life or just wanting something lovely to add to your jewellery collection? Corbica jewellery have a beautiful collection, where you are sure to find the perfect necklace, bracelet or earrings. 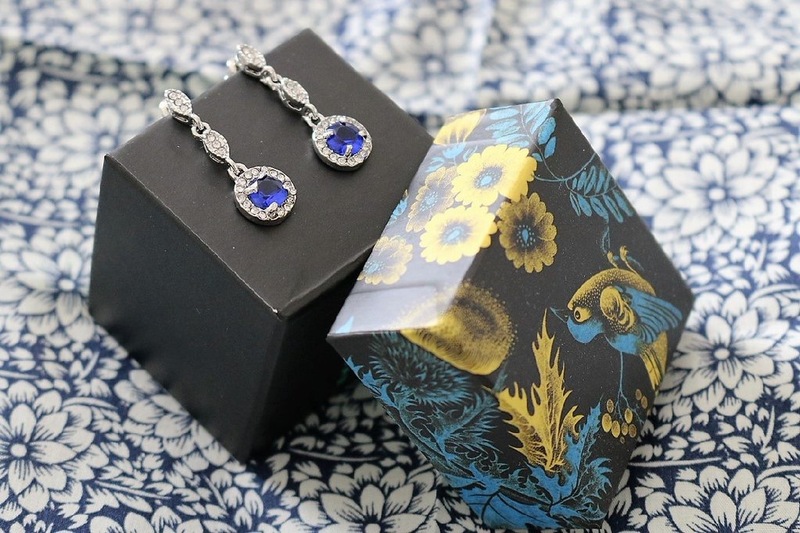 Our top pick has to be the Blue Crystal Liz earrings. Sophisticated and sparkly they are sure to glam up any outfit. The vintage drop is elegant and is clearly on trend. With scattered clear crystals and a large royal blue central crystal, they look quite luxurious. They will be great for occasional wear and we can’t wait to wear them. So if you are looking for a lovely last minute gift or jewellery to complement an outfit, be sure to check out Corbico Jewellery. The online range is fashionable and glamourous yet affordable. Items arrive quickly, and better still, fit through the door. The jewellery comes in a simple gift box, but there’s nothing to stop you putting them in a beautiful gift box, like this one from the V&A museum for the perfect way to present them as a gift. The anticipation of opening a beautiful gift can be almost as exciting as the gift itself.